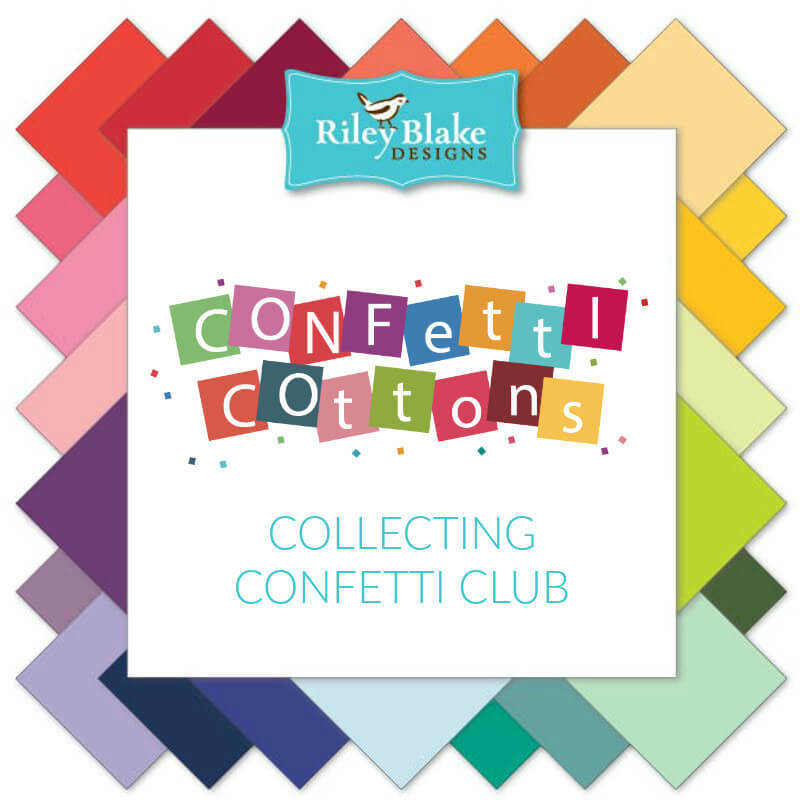 Introducing the new range of solid fabrics by Riley Blake Designs - Confetti Cottons - 100% Cotton solids with a luxurious schreiner finish you will adore! This is an exciting way to get your hands on all 110 of these gorgeous fabrics. 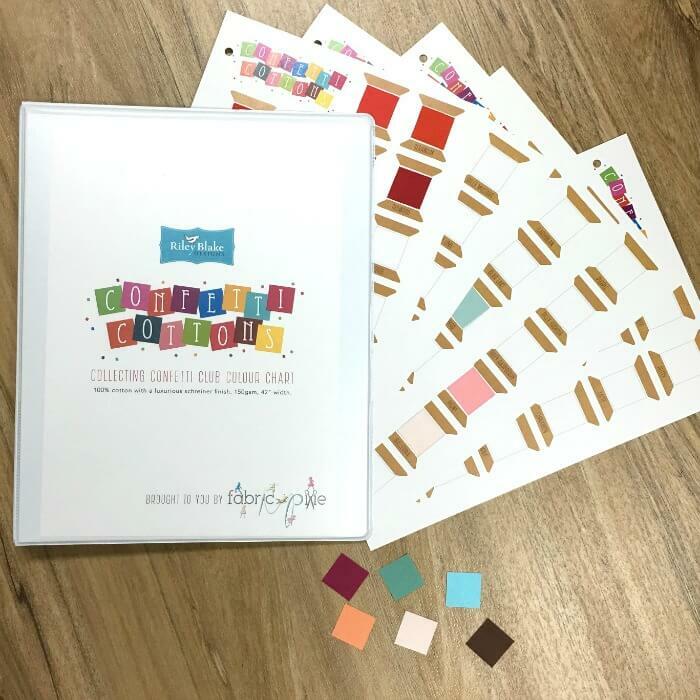 Plus create and adorable spool colour reference chart in the process! 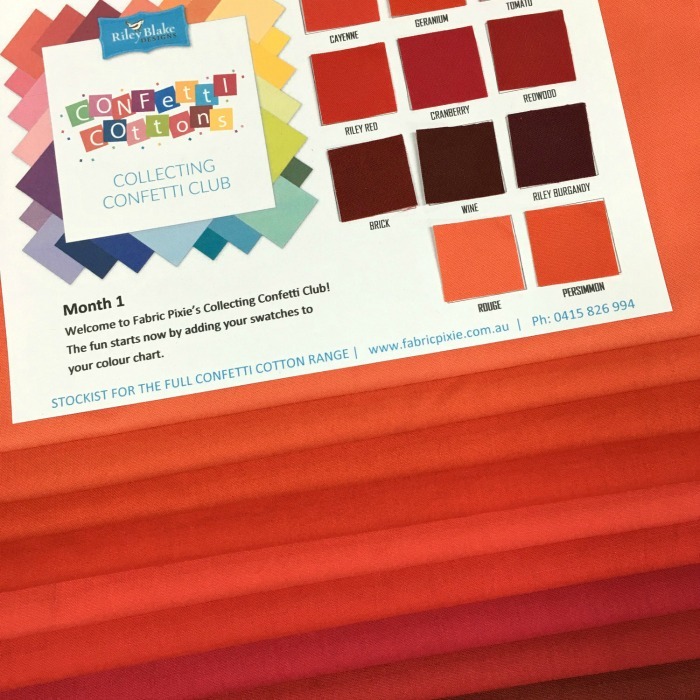 This invaluable colour chart will allow you to colour match in your own home and give you piece of mind to order your solids online. We stock the full range of the Confetti Cottons at all times. The monthly club runs for 12 months and by purchasing the first month you agree to sign up for the 12 month program.